High-speed, 10-15 s hand dryer. 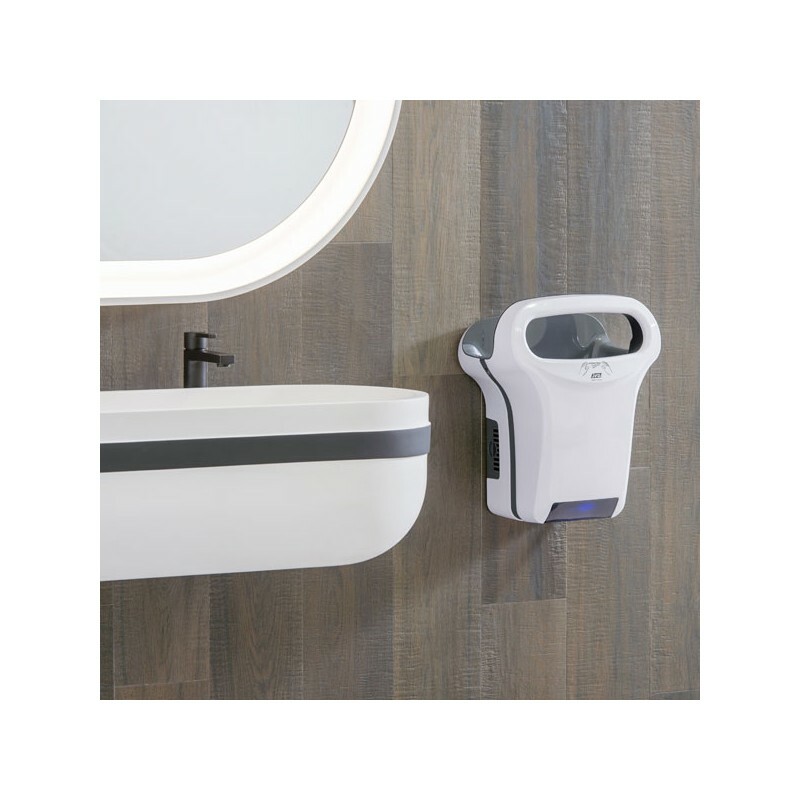 The vandal resistant, high-speed Exp'Air (grey) hand dryer is well known for its ergonomics and compact and innovative design. This high speed hand drier is also energy efficient and hygienic. Effective, the dry-time is 10 to 15 seconds with a design that avoids water splash. The expelled water is collected in a tank so as to not drip on the floor. Ergonomic, the front side and inclined presentation of the blowing zone makes it suitable for various users, particularly helpful for children and disabled. Economical and ecological, energy consumption is reduced thanks to the short dry-time, and low, 800 Watt power consumption. This is achieved by having no heat. While the dryer is not hot, it is not cold either due to the speed of the air. Operating costs are about 0.03 0.05 € for 100 dries. Hygienic, this hand drier is easy to clean and features an antibacterial coating and a filter for maximum hygiene. Robust, a cast aluminum cover and other features make the dryer vandal resistant. 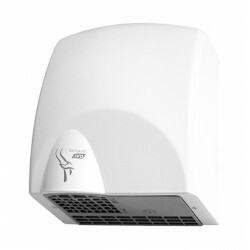 The Exp'Air hand dryer is an environmentally friendly solution, suitable in all public restrooms. 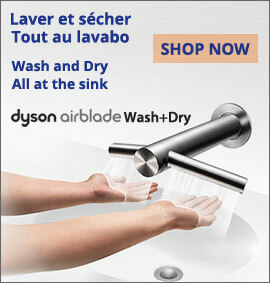 This high-tech hand dryer has won awards in France for innovation and adds a modern flair to any commercial restroom. Please see the Exp'Air demonstration video below.